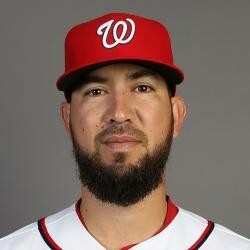 Reliever Rafael Martin pitched two innings in the Nationals victory over the Red Sox, allowing one hit, striking out five and walking none. It was the 30-year-old rookie's major league debut. Minimal. Martin may get a hold or two but will most likely return to Triple-A when Casey Janssen or Craig Stammen gets off the DL.